As Manchester United get ready to take the trip to Wales to face Swansea City this weekend, we take a look at the last three times that the Swans have beaten the Red Devils. And they are much more recent than you think, in fact, in the last six meetings between the two teams, Swansea have actually won more than United with three wins (all with a 2-1 scoreline) and just two losses in the six games. They will use this recent form for confidence going into the clash. 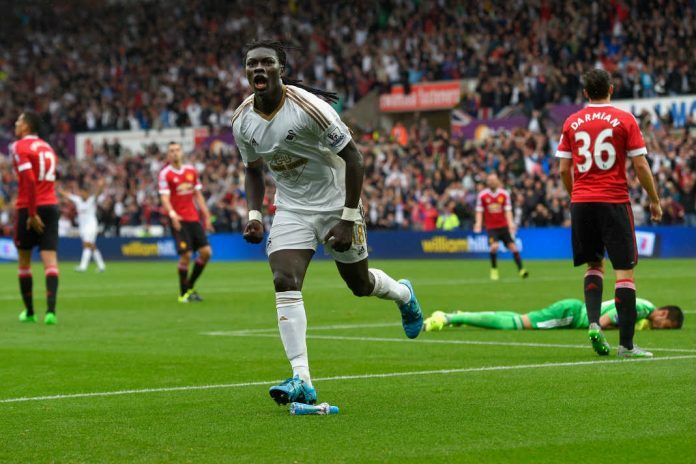 In the first month of the 2015/16 season, it was Swansea who handed Louis Van Gaal’s side their first loss of a campaign that proved disastrous in the end. It was the first time that Swansea had completed the double over Manchester United which put them into a select group of sides to win both league fixtures against the Red Devils in a season. After a goalless first half, it was Man United who took the lead as Juan Mata fired in from point-blank range after a pin point Luke Shaw cross just three minutes after the restart. However, on the hour mark, a lapse of concentration for the visitors’ backline allowed the hosts to equalise. Gylfi Sigursson led a lighting fast Swansea counter-attack and crossed the ball perfectly onto the head of Andre Ayew, who headed past Sergio Romero brilliantly. Before United had a chance to respond, their Spanish keeper was picking the ball out of the back of the net as Ayew turned provider by laying on a lovely through ball to Bafetimbi Gomis. The Frenchman didn’t need a second invitation and squeezed his shot under the diving Romero. Swansea is in SOUTH Wales!